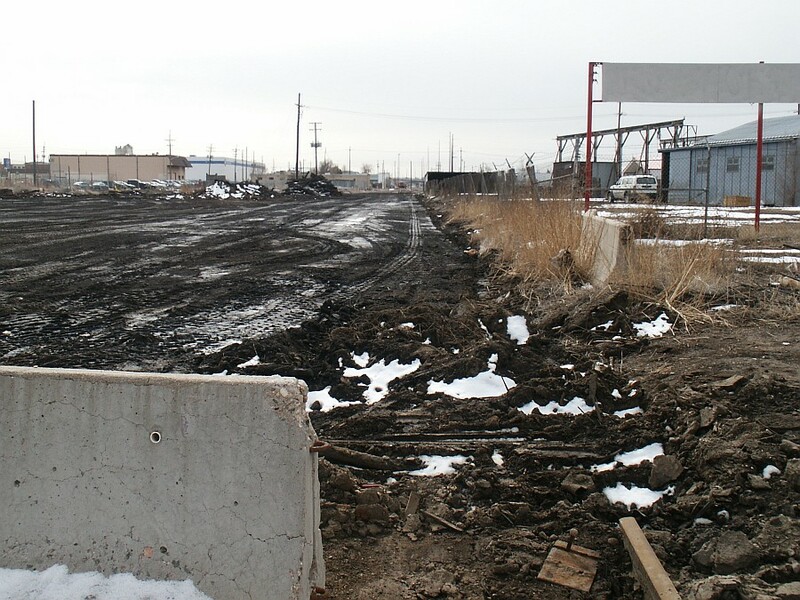 The Atlas scrap metal yards are located next to I-25 and Colfax Ave. The yard processes (reduces and sorts) scrap metal to gondola-size pieces to be melted down elsewhere. 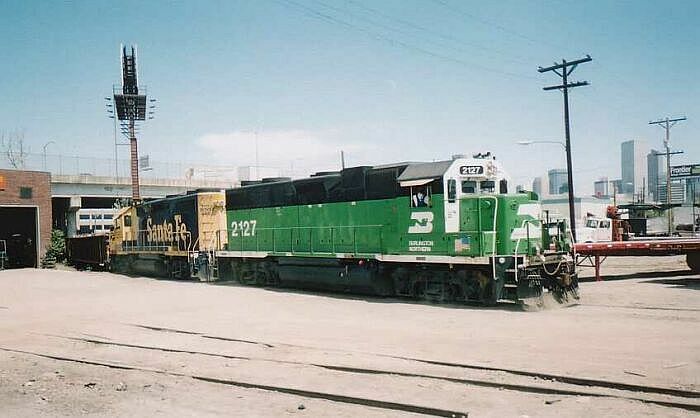 The yard is served by 2 BNSF spurs but only 1 has been used for the past 5 years. Typical traffic is 2-3 gondolas per week. The Atlas scrap yards are now gone, replaced by a Metro State dorm. The rails have been removed at lower (old) Colfax. 2127 drags a plow kicking up rocks an dust while retrieving a gondola of scrap metal from Atlas. The Colfax overpass is at left. 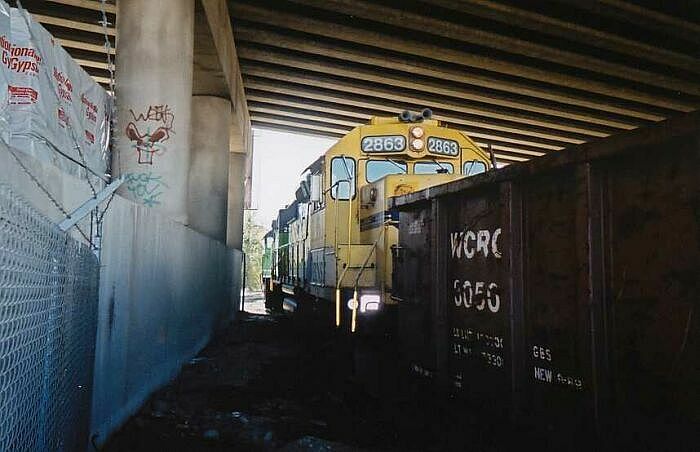 It's a tight squeeze under the Colfax overpass to the Atlas scrap yards. Inspiriational grafiti adorns the walls. Looking north from under the Colfax overpass the siding crosses a service track that allows engines to be taken to the Burnham shops bypassing several miles further south then backtracking almost as far north. Occasionally the Ski Train is brought through this shortcut enroute to Union Station to load passengers. 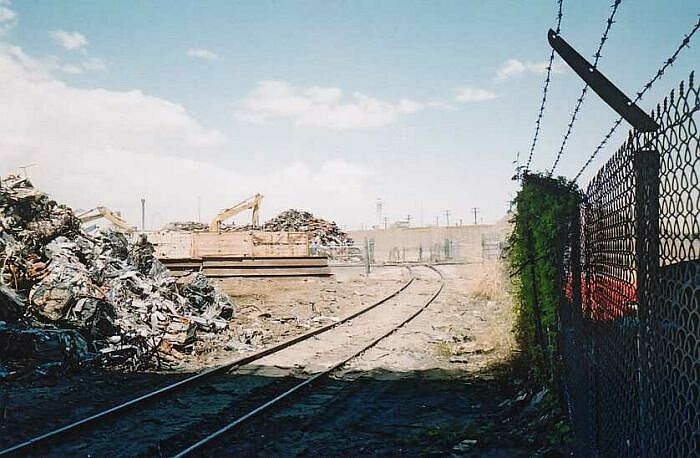 This was the yards near Colorado Ice and Cold Storage (now torn down) and Atlas scrap metal. 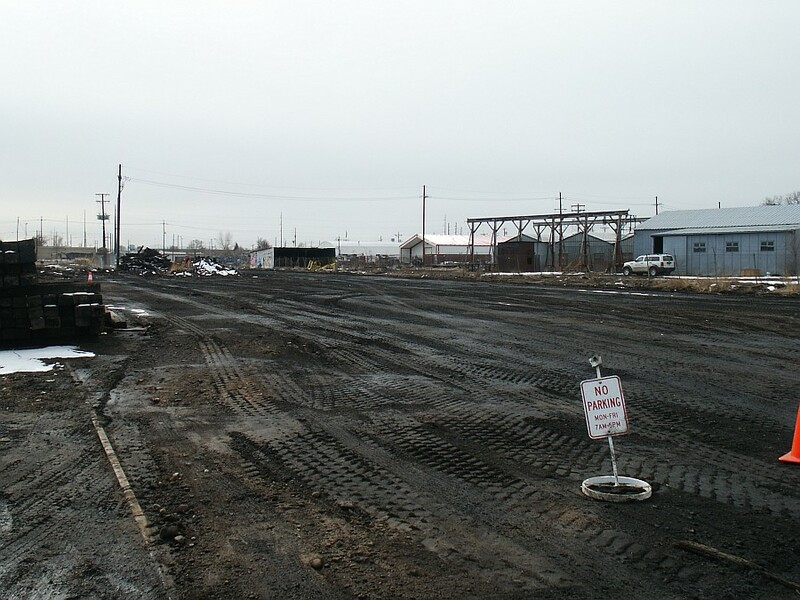 Tracks have been removed in preparation for expansion of light rail in the area. Looking south the main line curves to the right and parallels I-25 in the distance.